No amount of talent, wealth, fame or accolades can atone for the violent death of a loved one. 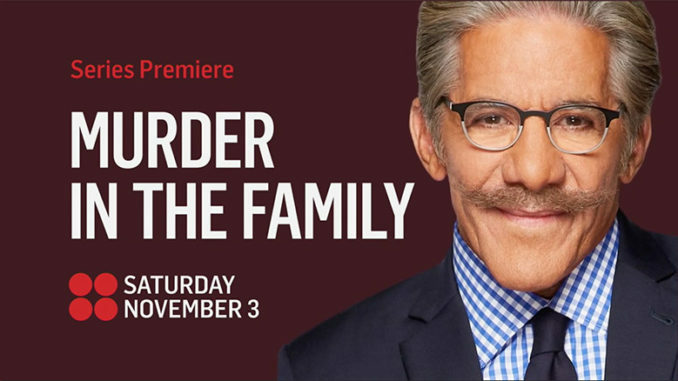 Geraldo Rivera and REELZ return to the scenes of homicides involving celebrities’ family members in the true-crime documentary series Geraldo Rivera’s Murder in the Family premiering Saturday, Nov. 3, at 9pm ET/PT. Each episode revisits the crime, the investigation, the trial and the aftermath in the case of a celebrity’s loved one who was the victim or the perpetrator of a heinous crime. 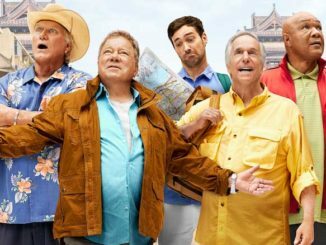 The first season delves into the familial tragedies of Jennifer Hudson, Dylan McDermott, Kelsey Grammer, Donatella Versace, Woody Harrelson and Dave Navarro. Most of the celebrities suffered their losses before they became household names, and the series traces the route of their lives and careers after their traumatic experiences. In some cases, the event became a motivating force in their lives. “I think it is fascinating to watch how these tragedies helped form these people, helped ignite their ambition to be something other than the wreckage left behind by aberrant behavior in the family,” Rivera says. Kelsey Grammer (actor) His father was murdered in 1968, and his 18-year-old sister was abducted, raped and murdered in 1975. Woody Harrelson (actor) His father was a convicted contract killer who received a life sentence for the 1979 murder of a federal judge in San Antonio. Jennifer Hudson (singer) Her mother, brother and nephew were killed by her brother-in-law in 2008. Dylan McDermott (actor) In 1967, his mother was killed by her mobster boyfriend. Her cause of death was originally ruled an accidental shooting; it was changed to murder after the case was reopened in 2011. Dave Navarro (musician) His mother was murdered by her ex-boyfriend in 1983. Her killer remained at large until an appearance on America’s Most Wanted led to his arrest in 1991. Donatella Versace (fashion designer) Her brother Gianni was murdered outside his Miami home in 1997. Geraldo Rivera is a great journalist. March Madness: Can College Hoops Overcome Its Credibility Crisis? March 7, 2018 Ryan Berenz Magazine Archive, Sports, TV News & Program Updates Comments Off on March Madness: Can College Hoops Overcome Its Credibility Crisis? March Madness is a celebration of all that’s great about college basketball. 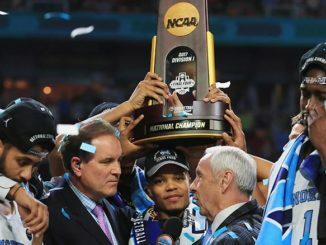 But when the national champions cut down the net at the Alamodome in April, one can’t help but wonder if the win will eventually be tainted or wiped out by scandal.